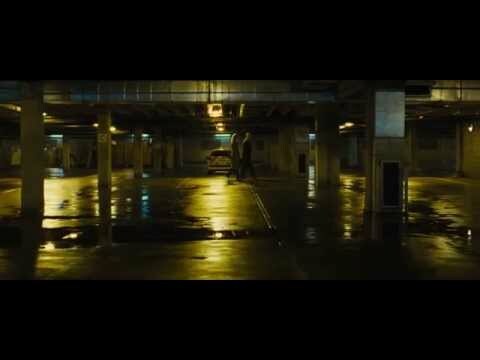 "Before I Go to Sleep" movie quotes tells the tale of a woman desperately trying to figure out her past despite a mental condition that resets her memory each night as she sleeps. The mystery thriller was written and directed by Rowan Joffe, adapted from a novel of the same title by S. J. Watson. "Before I Go to Sleep" opened in theaters in the United States on October 31, 2014. 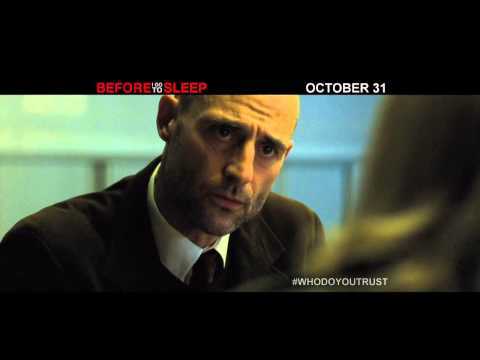 In "Before I Go to Sleep," Christine Lucas (Nicole Kidman) wakes in a home she does not recognize next to a man she does not know. 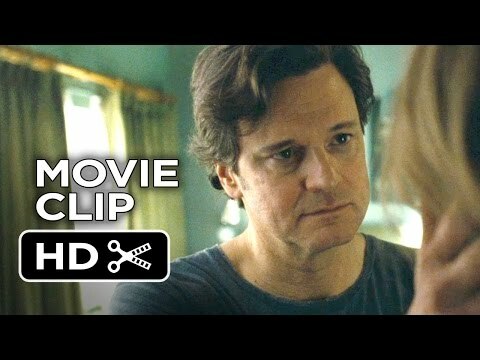 The man, Ben (Colin Firth), explains that they are married but because of a bad accident long ago, she does not remember anything as her memory starts over each night. This is startling to hear, but Christine soon accepts this information. A phone call from her physician, Dr. Nasch (Mark Strong), confirms this diagnosis but also leaves her with information that it was no accident, rather a violent crime that left her this way. The doctor mentions that she's been making a video diary daily with the intent to help figure out who beat her and left her for dead. This sends Christine on a while chase to uncover any lingering memories of the crime and try to make sense of what is now her life. "Before I Go to Sleep" brings some mystery to theaters which are already packed with films including "Nightcrawler," "John Wick," "White Bird in a Blizzard," "Fury," "The Best of Me," "The Book of Life," "Birdman or (The Unexpected Virtue of Ignorance)," "The Judge," "Alexander and the Terrible, Horrible, No Good, Very Bad Day," "St. Vincent," "Gone Girl," "Men, Women & Children," "Left Behind," "The Equalizer," "Pride," "Good People," "The Boxtrolls," and "This is Where I Leave You." Ben: "I'm your husband, Ben. You had an accident, a bad accident. You had head injuries. You have problems remembering things." Ben: "Everything, you store up information during the day. When you wake up in the morning, it's all gone. You're back to your early 20s… It'll be okay. Just trust me." Ben: "I know. I love you. I love you, Christine." Christine awakes next to a man she doesn't recognize in a home she does not know. She's startled, but husband Ben seems to have a perfectly reasonable explanation for it all. Dr. Nasch: "I want you to keep a visual diary." Christine: "My name is Christine Lucas. Tonight, as I sleep, my mind will erase everything that I know today… He says he's protecting you but don't trust anyone." Christine refers to the videos she previously made for herself and updates them as she learns more. She doesn't have the whole story but knows that no one can be trusted. Claire: "Chrissy, darling, it's me." Claire: "After your affair, I just disappeared." Upon reuniting with an old friend, Christine learns that she once had an affair. This sparks old memories within Christine, but she doesn't yet know what to do with them. Christine: "There must be days when you say I can't go through this again." Ben: "Sometimes when the truth is painful or complicated, I don't always have the strength." Dealing with a spouse with memory loss is tough for any partner, something Ben is all too familiar with. To make this easier, he finds that omitting the truth from Christine can save a lot of the hassle and stress.